A letter signed by the Bombay Lawyers Association (BLA) president Ahmad Abdi, has been sent to the Union Law Minister, Ravi Shankar Prasad, demanding a bench of the Supreme Court to be set up in Mumbai. 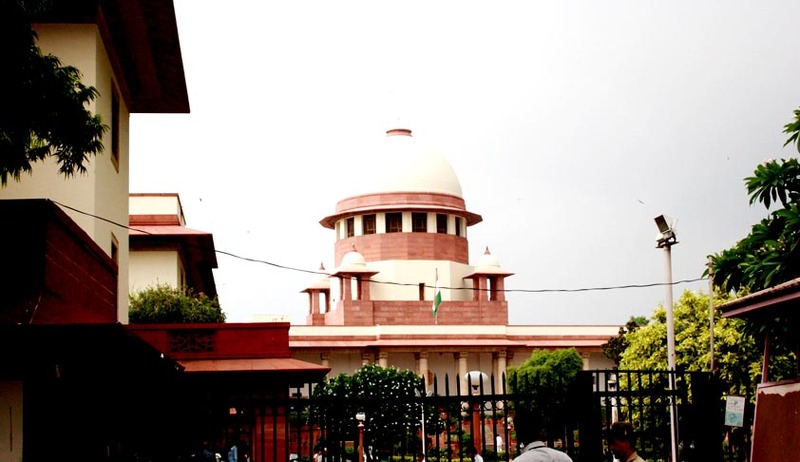 Abdi reportedly recommended that, "The constitution bench of SC can remain at Delhi; the three regional benches can deal with appeals from high courts in the respective regions. This will save litigants' money and time." Advocate Uday Warunjikar, secretary, Advocates Association of Western India, was quoted as saying that "Mumbai is the commercial capital of the country and accounts for 15% of the GDP. More than 20% of the litigation filed in SC are from Mumbai, and hence a SC bench should be set up here." Constitutional expert Fali S. Nariman is however against the idea. According to him, there’s no point having national courts. He discarded the applicability of the American system to the Indian system by stating that they take only 110 cases a year. Somehow, the feeling is that in the high courts, by and large, the people are from one group — not necessarily one religion, but one group of people who are only in that state. Whereas here, you get a mix. If you get a bench of two or three, one will be from one state and the other from another. There are no two states that you can say are entirely similar. People are different. Language is different. Everything is different. Read the entire interview here. Recently, a PIL filed by a Puducherry-based Advocate, Sri. V Vasantha Kumar, had also been filed demanding establishment of a National Court of Appeal with regional Benches. The petitioner had stated the same reason, as the BLA for establishment of the Court of Appeal. He had submitted that distance of the Apex Court located in the national capital, coupled with high travel expense and cost of litigation were coming in way of citizens from far flung areas to approach the Apex Court, which is otherwise also burdened with large scale pendency of cases. The Supreme Court sought to know the response of the Centre and the Ministry of Law on the question. Read the Livelaw story here. More than two decades ago a comprehensive study by the well known Senior Advocate, Rajiv Dhawan under the auspicious of the Delhi based Indian Law Institute, examined the aspect of creating parallel courts and divisions in the Supreme Court. Restructuring of the Supreme Court has been long on the Law Commission’s agenda. The Law Commission of India, headed by its Chairman Justice A.R. Lakshmanan in its 229th report, emphasized on the need for division of the Supreme Court into a Constitutional Bench at Selhi and Cassation Benches in Delhi, Chennai/ Hyderabad, Kolkata and Mumbai. The report was addressed to Dr. Veerappa Moily, the then Union Minister of Law and Justice. The Report emphasized on the unbearable load of arrears as well as cost of litigation for those living in far-flung areas of the country. About 55 countries of the world hold separate constitutions courts, and hence, the report demanded at least a Constitutional Division for the Supreme Court. Many continental countries have constitutional courts as well as final courts of appeal called courts of cassation for adjudication of non-constitutional matters. Even the 10th Law Commission in its 95th Report titled “Constitutional Division within the Supreme Court – A proposal for”, submitted in 1984, recommended that the Supreme Court of India should consist of two Divisions, namely, (a) Constitutional Division, and (b) Legal Division. The eleventh Law Commission in its 125th Report titled “The Supreme Court – A Fresh Look”, submitted in 1988, restated the above recommendation for splitting the Supreme Court into two and gave an additional reason for the same. It stated that, if the Supreme Court is split into Constitutional Court and Court of Appeal or a Federal Court of Appeal, no serious exception could be taken to the Federal Court of Appeal sitting in Benches in places North, South, East, West and Central India. In its 2nd (2004), 6th (2005) and 15th (2006) Reports the Parliamentary Standing Committee on Law and Justice has repetitively recommended that in order to fulfill the vision of speedy justice for all, benches of the Supreme Court have to be established in the Southern, Western and North-Eastern parts of the country. Additionally, in its 20th (2007), 26th (2008) and 28th (2008) Reports, the Standing Committee recommended that a bench of the Supreme Court should be established at least in Chennai on trial basis. Despite these Reports, the Supreme Court has been rejecting the suggestion so far. Hence, Article 130 empowers the Chief Justice of India, with the approval of the President to appoint place or places other than Delhi as the seat of the Supreme Court. The report said that with liberal interpretation, no constitutional amendment may be required for the purpose of setting up of Cassation Benches in four regions and a Constitution Bench at Delhi. Abdi therefore said: "The framers of our Constitution visualized the future requirement and provided that the Chief Justice, with the approval of the President, may decide to have seat of Supreme Court at places other than Delhi." A full Bench of the Supreme Court, comprising of 27 judges headed by Chief Justice K.G. Balakrishnan, had however rejected the Law Commission’s recommendations. They reportedly reiterated their stand that that dividing the Supreme Court would affect the country’s unitary character. Legal News India, Supreme Court News, Bombay Lawyers Association, Indian Legal News.